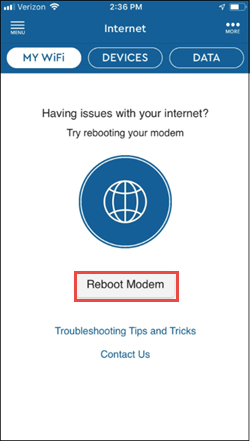 If you are experiencing issues with connectivity or slow speeds, sending a reboot signal to your modem may help to resolve these issues. Complete the following to reboot your modem. Note: This process may take several minutes to complete.